We accept Visa, MasterCard, Discover and American Express as well as Pay Pal and Amazon Pay. All payment information submitted online is encrypted and secure. Credit card payments can only be made with a US issued credit card, as well as a US mailing and shipping address. We do not charge sales tax in most US states, however there are a few that we are required to do so. We are required to collect sales tax in the following states: Minnesota, Georgia, Maryland, Michigan, New Jersey, North Carolina and Washington. All other states are tax-free. Please visit our Shipping Inquiries section for answers to common shipping questions. Please note: Amazon Pay does NOT use Amazon Prime shipping. Your complete satisfaction is our goal. Purchases may be returned for full credit 30 days from purchase. The purchase amount will be refunded less shipping expenses in the same form of payment received. Retired PANDORA items are FINAL SALE. Holiday returns: Orders placed during the holiday period beginning November 1st have a return policy extended through January 31st. If you purchased an item during this time, you will have until the 31st of January to return it. Can I return or exchange items purchased online at BeCharming.com at my local store? With a receipt, you may return or exchange items at our PANDORA Store locations at Mall of America, Ridgedale Center and Rosedale Center. Other stores are not associated with our franchise business and it is at the discretion of their management and staff if they will accommodate your request. To confirm your order was placed, check your email for an automated confirmation that your order was received. The email may appear in your junk/spam/newsletter folder as a result of your email settings. If you do not receive confirmation, it is possible there was an error in your order, or you may have entered an incorrect email address. You may contact our team by online chat, phone (800-878-7868) or submit a "Contact Us" form to confirm. Why does my bank account show a transaction even though the order didn’t go through? When placing an online order, your bank immediately puts a hold on those funds for the retailer to capture funds during order processing. During order processing, if the information provided during checkout does not match the information on the credit card being used, the funds captured will be denied and the order will not be processed. Your bank may hold the funds as unavailable until the authorization/hold expires. This hold will typically drop off in 3-5 business days. Please contact your bank if you have any further questions regarding fund holds. When your order is processed a tracking number is generated and will be emailed to you within 24 hours of package pickup by UPS or US Postal Service. Please note that a label is generated prior to packaging your order. You will receive a notification that a label has been generated - this does not indicate that it is in the hands of the shipper, it may be picked up that evening or the following business day for transit depending on the time order was received. You may use the tracking number sent in the email to check on the status of your package. If items are missing or incorrect from your order contact our customer service team at 800-878-7868 and have the packing slip and package in hand. A return label may be sent to you if there was a fulfillment error. Claims must be received within 14 days of purchase date. 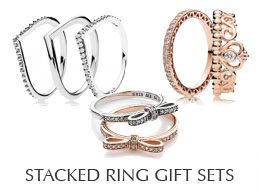 Product prices represent the Manufacturer's Suggested Retail Price as set by PANDORA. Despite our best efforts, occasional pricing and other errors may occur on this site. Access to the site does not constitute the right to purchase products featured. Be Charming and PANDORA are not responsible for typographical, pricing or other errors. Products and prices of products described on the site are subject to change at any time without notice. Be Charming reserves the right to revise pricing and other errors and to cancel any order you have placed if there was an error concerning the price or availability of any item you ordered when you placed the order, even if you have received an order confirmation. If an error is made we will try to correct it as quickly as possible and notify you of the error. If your credit card has already been charged for the purchase and your order is canceled, we will issue a credit to your credit card account in the amount of the charge. Individual bank policies will dictate when this amount is credited to your account. If a pricing error were to occur there was no attempt to unlawfully harm any customer. Be Charming reserves the right to limit quantities of products purchased. What if I order something that is no longer in stock? We carry a very extensive inventory, however, due to the unpredictability of PANDORA inventory shipments, we cannot guarantee the availability of all items featured on our site at all times. In the unlikely event that an item is temporarily out of stock, we will notify you of any delay and ship the items as soon as possible. If an item is not in stock at the time your order is processed, the in-stock items will be shipped and you will be advised of the BACKORDER via email. Generally, we are able to shipbackordereditems within 2-3 weeks. You will not be charged forbackordereditems until they can be shipped. Once available,backordereditems will be processed then automatically shipped following our free shipping guidelines. Our site is 100% safe and secure. We also do not share your information with any second parties. You can shop our site and feel confident, that your information will not be shared or sold.